We all know that after years of cooking your kitchen cabinets can accumulate a thin layer of nasty grease. The trick is to remove the greasy buildup without causing damage to your cabinets. Not all cleaning products can clean different surfaces, and most kitchen cleaners contain bleach or ammonia that can discolor wood or leave a haze on glass. 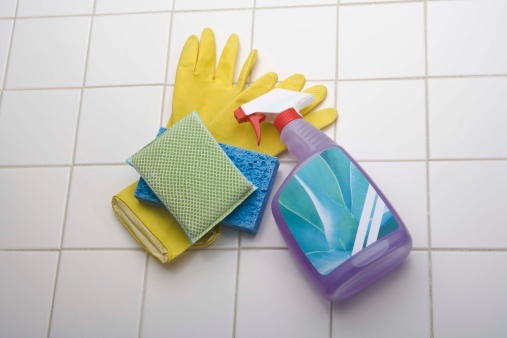 Safer cleaning products may already be in your kitchen. Keeping your cabinets clean and grease-free will keep your kitchen looking beautiful for years to come. After years of cooking, grease can build up on kitchen cabinets. Mix together 3 tsp. of baking soda and 1 cup of warm water in a medium bowl. Dip a sponge in the mixture then squeeze out excess water. Scrub the cabinets in a circular motion to remove grease. Rinse your sponge between each cabinet and rinse the bowl clean when you have finished. Mix 2 tsp. of dish soap and 1 cup of warm water in the bowl. 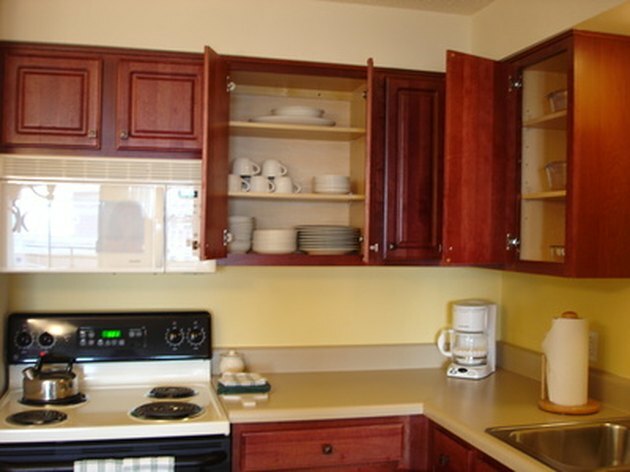 Sponge onto your cabinets in a circular motion and rinse the sponge in the sink after each cabinet has been scrubbed. Remove any soap residue with a damp washcloth. Rinse and wring out excess water after cleaning each cabinet. Dry the cabinets off with a dry washcloth. Kristy Lewallen has been writing since 1998. Her published work appears on the National Library of Poetry website and various other online publications. Lewallen specializes in skin care, animal care and how to be eco-friendly. How Do I Clean Yucky Greasy Kitchen Cabinets?